If you’re the only one who uses your computer or you trust those you share it with, why not remove password login in Windows 10? It enables the computer to boot straight to the desktop and shaves precious seconds off the boot time. It also removes that extra manual step so Windows can go from being powered off to the desktop without your intervention. Alternatively, if other people have access to your computer, you might like to enable password login to keep it safe. Type ‘netplwiz’ into the Search Windows/Cortana box. Put a check in the box next to ‘Users must enter a username and password…’ and then click Apply. You will need to either log out and back in again or reboot your system for the change to take effect. To disable password login, you essentially do the opposite of the above. Uncheck the box next to ‘Users must enter a username and password…’ then click Apply. Enter your password twice when prompted by Windows. 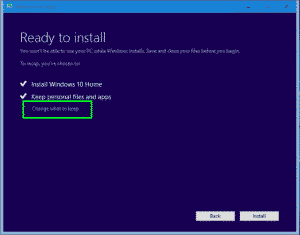 You will need to log out and in or reboot your computer for this change to take effect too. 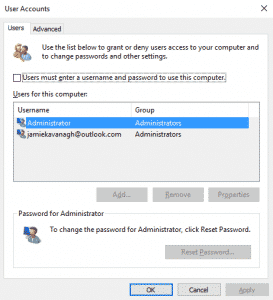 Know a faster way to enable or disable password login in Windows 10? Have any questions? Let us know below!